In 1935 Tazio Nuvolari beat the world speed record driving on the Firenze-Mare Motorway an Alfa Romeo 16C Twin Engine, a racing car designed by Enzo Ferrari (then director of Alfa Romeo's Racing Division). He sets a new record by covering the distance of 1 kilometre in 11 seconds (or 1 mile in 17 seconds), reaching a maximum speed of 336 km/h. Inspired to this legendary achievement, Eberhard created the Tazio Nuvolari 336, the first model of the collection dedicated to the "flying Mantuan" that offers the reading of two different time zones. The watch, produced in a limited edition of 336 pieces, is animated by a mechanical automatic‐winding movement (based on the reliable ETA 32824-2) beating at 28,800 vph. 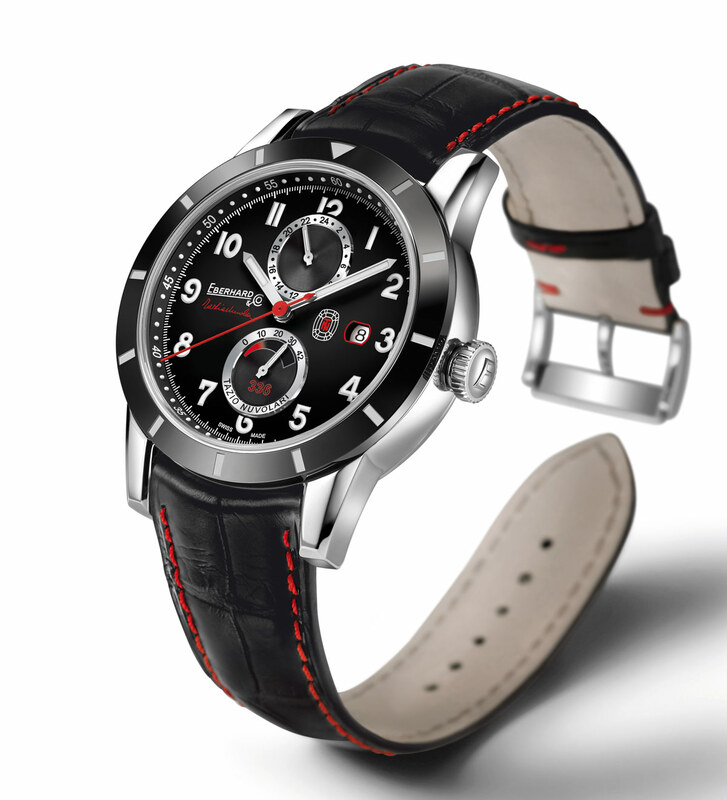 The second time zone is displayed at 12 o’clock, while at 6 o’clock there is the indication of the 42-hour power reserve. The date window is positioned at 3 o’clock. 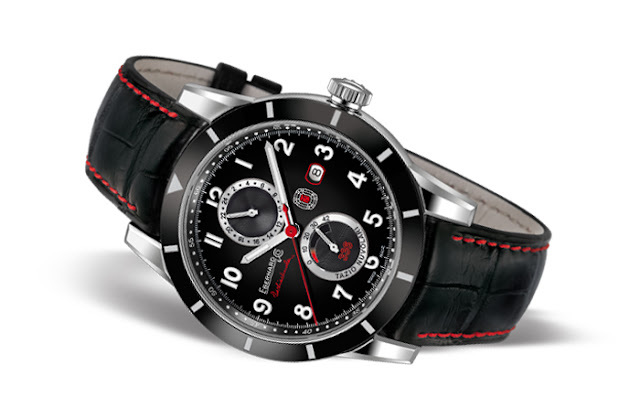 The matte black dial with Arabic luminescent numerals is enriched by red details and framed by a masculine 45 mm stainless steel case with a pretty thick black ceramic bezel. The second time zone can be set using the push button decorated with the driver's initials and positioned at 10 o'clock. 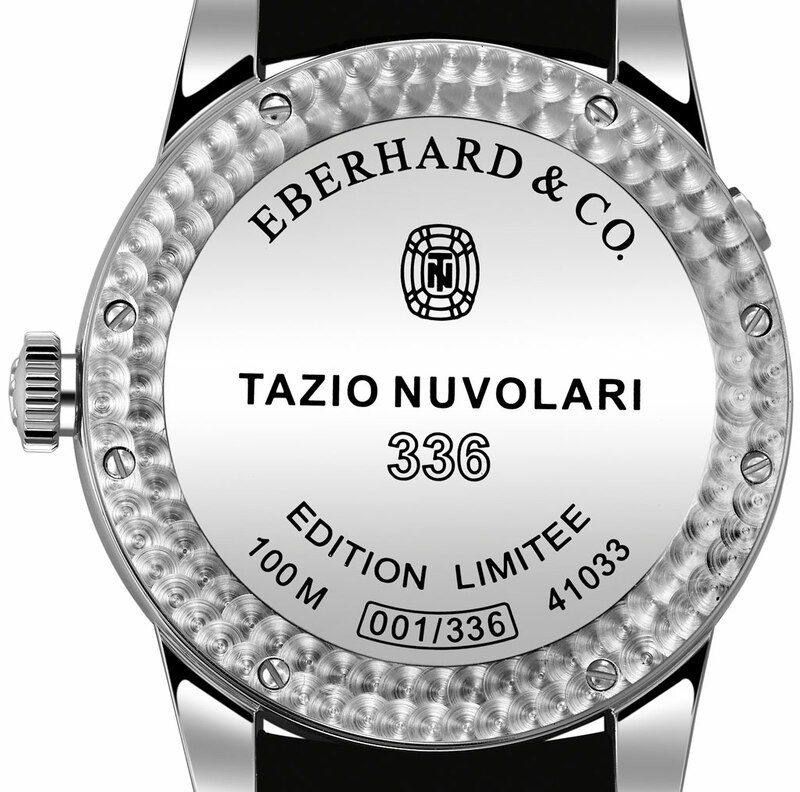 The solid case back, secured by 8 screws, is decorated with the symbolic number 336, the driver's name and the initials 'TN' within the carapace, the emblem of Tazio Nuvolari. 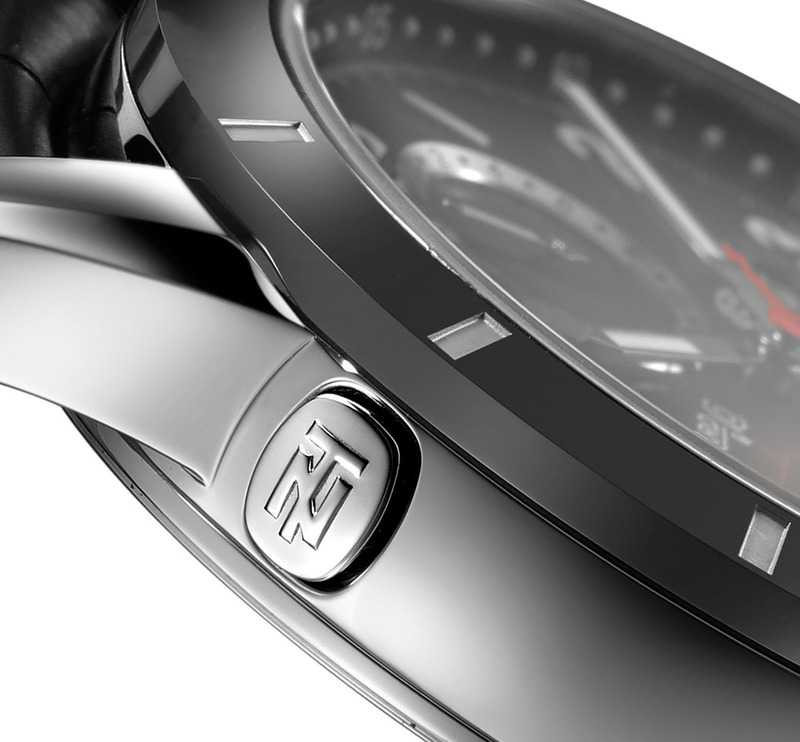 The watch is waterproof to a depth of 100 metres. Eberhard Tazio Nuvolari 336. 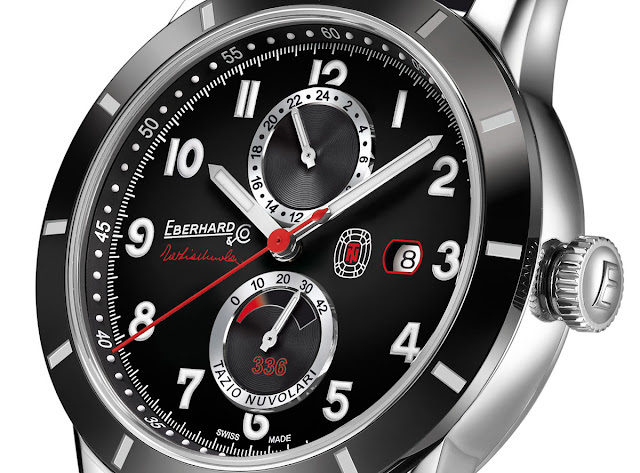 Eberhard created the Tazio Nuvolari 336, the first model of the collection dedicated to the "flying Mantuan" that offers the reading of two different time zones. The Eberhard Tazio Nuvolari 336 (ref. 41033.01) is individually numbered. Price to be announced.